Try to find patterns that allow you to predict colors that will appear in rows of dots. Each row is produced from the one above it, following simple rules. If the two dots above are the same color, then the dot below matches both. If the two dots above are different colors, then the one below is different from either. 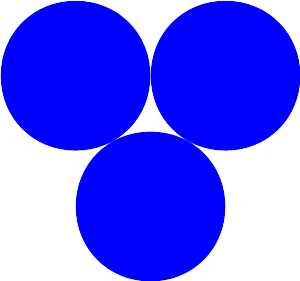 Assuming we have dots of 3 colors – e.g. 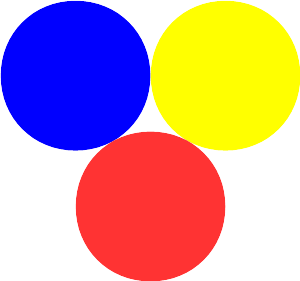 blue, red, and yellow – these rules are illustrated in the attached images. Submitted by Nick Bennett on 01/23/2017 - 21:18.